If you have been searching for some ways to make some extra cash online, we have some tips to help you out. An increasing number of Nigerians earn more working as freelancers than some corporate executives earn, and this makes it a rather interesting industry for anyone who has the time, skill and discipline to deliver jobs of the highest international standards. Freelancing is huge at the moment and countries like India and Philippines are testimony to that fact. 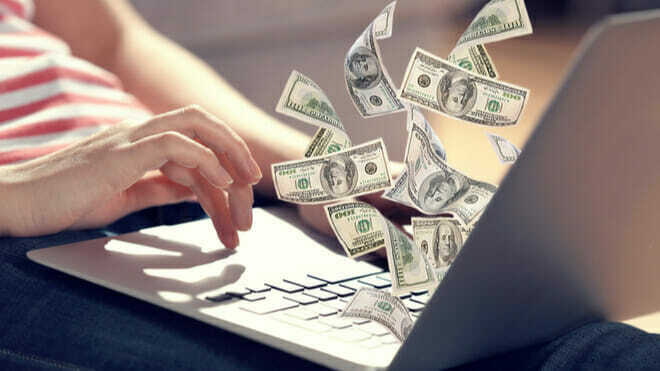 It is possible to make money online by providing services online – a number of service-based professionals would readily find someone online willing to pay for their services once they are convinced of the value. A few people have got their fingers burnt in forex trading, including yours truly, but this is not to say that it is not viable. I believe what has happened to the majority of people who must have had some sort of negative experiences is that we allowed ‘fake promises’ to becloud our sense of reasoning. I have a highly contented friend, who still makes money from forex, but some forex gurus will consider him a “mugu” if they hear he is satisfied with the little he makes. Let me state that it is advisable to attend forex trading classes first or find a coach before starting off as a forex trader. The chances of losing your entire investment are pretty high. Affiliate marketing is simply helping other people to sell stuff and earn money doing so. Let me explain the process. You sign up to be an affiliate for website A, who sells e-books, then you are given a special URL that makes the tracking of each sale seamless. You take that code and share online; some of your friends might see the links and visit the site. Once they make a purchase, the site’s affiliate marketing software informs you about the sale and your commission. There are a number of websites that you can affiliate with right away. Finally, I’d stress that the buck stops on the table of the Nigerian government to create an enabling environment for the creation of more jobs for the rapidly growing population. A PUNCH report of December 5, 2018 monitored online could not have emphasised this any better when it quoted the Head of the EU Delegation to Nigeria, Ketil Karlsen, as saying that “the main responsibility should always be with the authorities (government) of Nigeria; and frankly, it should be like that.” He was speaking on why the EU initiated a skills acquisition programme for 17,000 adolescent Nigerian boys and girls and cautioning the Nigerian authorities not to be deluded into thinking that development partners alone will reverse the unemployment scourge in the country. Need I say more? There is fire on the mountain and all hands must be on deck to get Nigerians working both online and offline.